Majuli is the World’s largest river Island and is formed by course changes of River Brahmputra and its tributaries. Home to the simple Mishing, Deori and Sonowal Kachari tribes of the state, the island is the hub of neo-Vaishnavite culture of Assam. The air is filled with the music of Flute and prayer songs. The religious leaders called Sattradhars recite the Vedic scriptures while the villagers clap hands and bow their heads in unison. There are 21 satras, each specializing in certain craft. 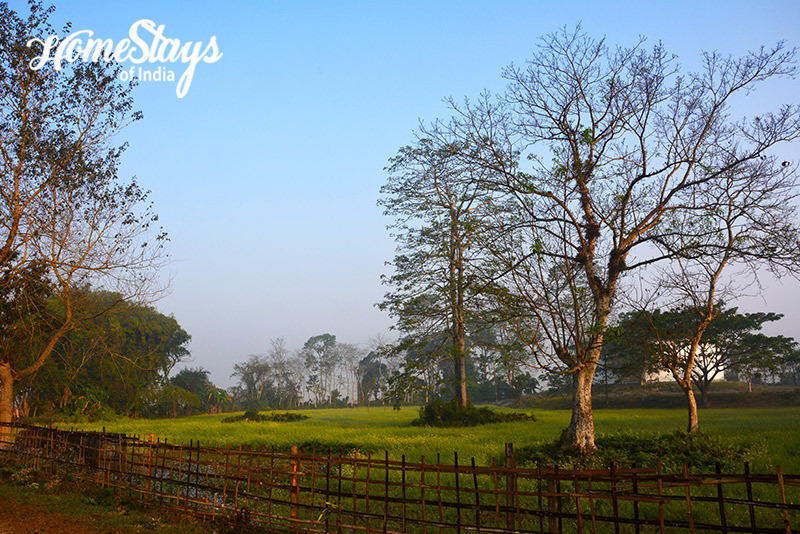 Not only this, Majuli houses some rare species of flora and fauna and also attracts many migratory bird during winters. 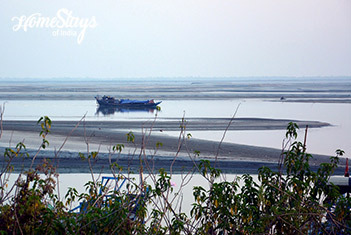 A ferry from Neemati ghat, Jorhat will take you to this beautiful island which is best visited between the months of Oct and April. Its a well maintained traditional home located in Tourism Tiniali, Kamalabari on the way to Auniati Satra. 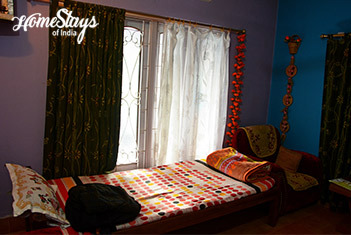 Stay with us like family member freely without any disturbance. We have one single room, two double rooms and a dormitory. Sit and chat with fellow travelers in the sitting area, enjoy homely atmosphere and food. There is a fire place to keep you warm during winters. 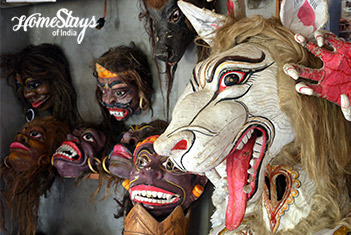 In addition we have an outlet of Assamese traditional stuff just outside the homestay. The Host Rumi Medhi Hazarika is a simple and independent local lady. Her warm hospitality and caring nature will make your stay a memorable one. She spends most of her time in kitchen or taking care of the home. Simple home cooked traditional food is served. Both veg and non – veg food is available. And you can also participate in cooking and learn some traditional recipes from Majuli with Rumi’s permission. 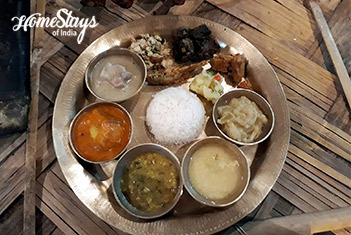 Do try traditional Mishing thali. I enjoyed my stay here especially the meals. Rumi is a very active lady and took good care of all our needs.